Here’s our performance at the SF St. Pat’s Day Festival of the famous tune, Sí Bheag, Sí Mhor (Little Hill, Big Hill) by the blind harper, Turlough O’ Carolan (Toirdhealbhach Ó Cearbhalláin) It is followed by a rousing version of our take on the trad reel, Sleepy Maggie. Thanks to Ryan for taking this FlipVideo! 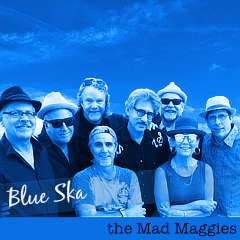 dance, free mp3s, live music, Saint Patrick, San Francisco, the mad maggies.